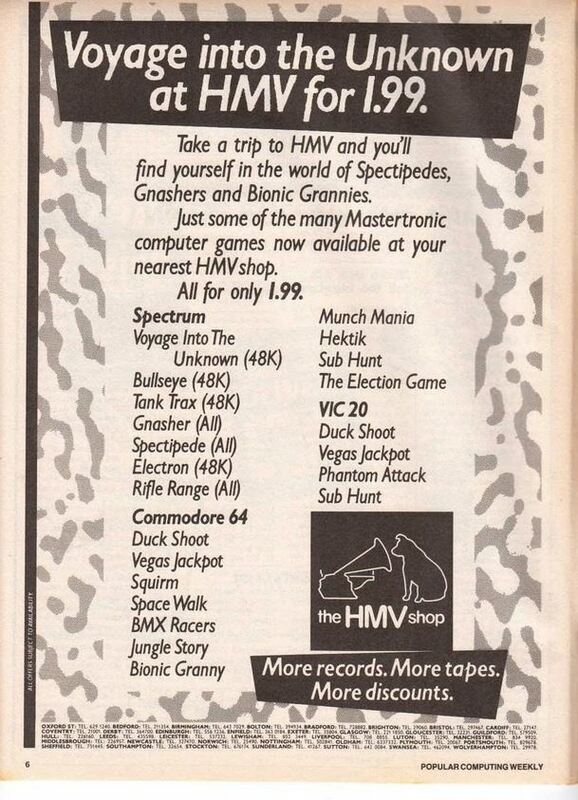 Probably the earliest advertisement for Mastertronic games and an extremely rare event at that time. Even rarer is that it is jointly with HMV, of whom I have no recollection of being a customer so perhaps they didn't think it worth repeating. This was in Popular Computing Weekly, 21 June 1984.